As we previously reported, Vince McMahon is apparently once again interested in getting into the football business. The news, which was originally broken by freelance writer Brad Shepard, was reported by Deadspin after they reached out to WWE regarding the possible relaunch of the XFL. The response from WWE is that Vince McMahon has started a company separate from WWE, called Alpha Entertainment, and is geared to "explore investment opportunities across the sports and entertainment landscapes, including professional football." In conjunction with the trademark filing in June, the WWE spokesperson did not confirm or deny the possible resurrection. "On December 21, 2017, Vincent K. McMahon ("Mr. McMahon"), Chairman and Chief Executive Officer of World Wrestling Entertainment, Inc. (the "Company"), sold 3,340,000 shares of the Company's Class A common stock in a block trade made in accordance with the provisions of Rule 144 of the Securities Act of 1933, as amended. Mr. McMahon executed the sale primarily to fund a separate entity from the Company, Alpha Entertainment LLC, which Mr. McMahon established to explore investment opportunities across the sports and entertainment landscapes, including professional football. 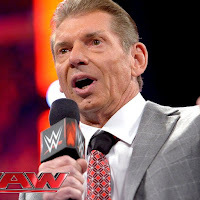 Mr. McMahon has informed the Company that he has no current plan to sell additional shares of the Company's stock and that he intends to continue in his capacity as the Company's Chairman and Chief Executive Officer for the foreseeable future. The shares sold by Mr. McMahon represent approximately 4.3% of the Company's total outstanding shares of Class A and Class B common stock. After the sale, Mr. McMahon beneficially owns 32,193,375 shares of the Company's Class B common stock, which represents approximately 82.8% of the Company's total voting power and approximately 41.8% of the Company's total outstanding shares of common stock." ESPN Sports Business Reporter, Darren Rovell, also noted that Alpha Entertainment filed for five trademarks to "XFL" on December 16 with it showing up in the trademark office filing today. This is in addition to McMahon recently filing additional football trademarks, which included "URFL", "United Football League", "UFL", and "For the love of football." As noted, WWE filed for XFL trademarks back in June with the foreign filing deadline expiring on December 28. While the initial hype of the XFL generated a strong audience, die-hard fans of the NFL began to heavily criticize the league, and numbers started to reflect the dissatisfaction. As a result, the XFL lasted only one season in 2001, with it resurfacing earlier this year on the ESPN 30 for 30 This Was the XFL documentary.